KOBELCO COMPRESSORS VIETNAM is one of Japanese leading compressed air supplier in Vietnam, as well as a major seller of air compressor and the related products. 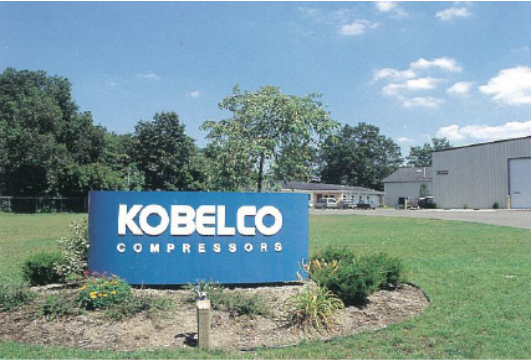 We work as direct sales base of Kobe Steel Ltd. which developed a compressor since 1915. We share needs with a customer in the position as manufacturer and seller of factory infrastructure equipment. 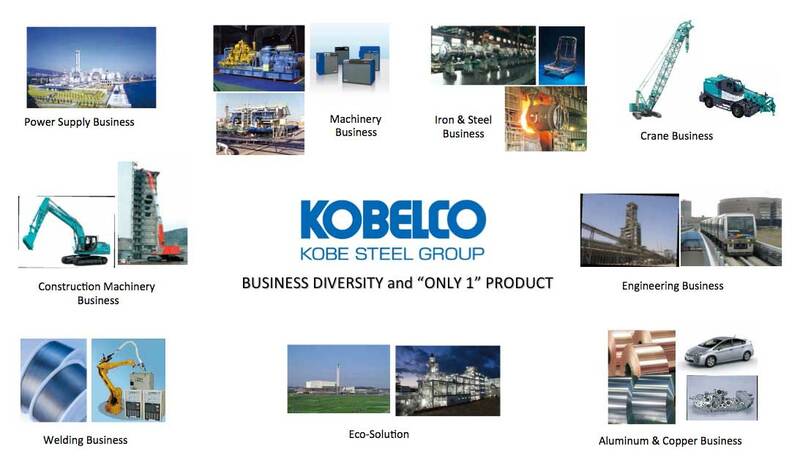 The Kobe Steel Group is comprised of numerous consolidated and equity-valued companies in Japan, the Americas, Asia and Europe. They provide high quality and technology products worldwide. 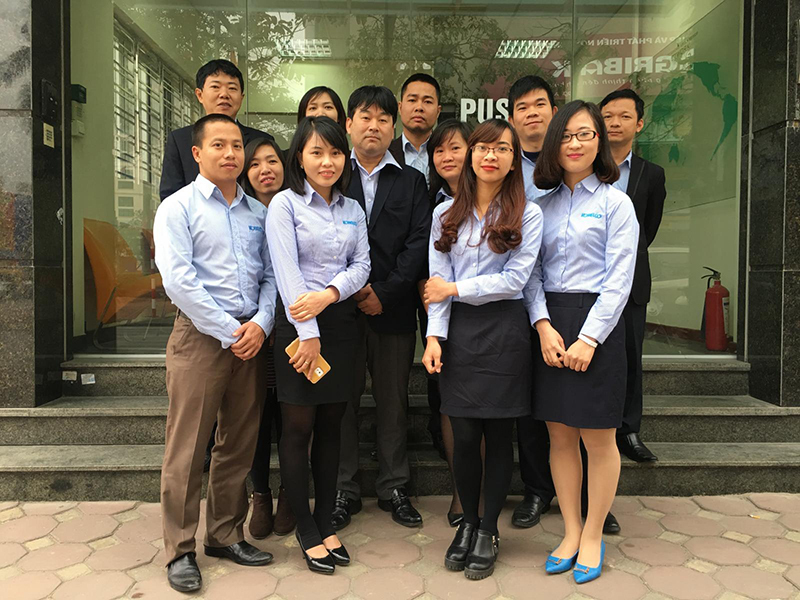 KOBELCO COMPRESSORS VIETNAM always stands on customer need with commitment of “KOBELCO” which describe excellence and quality. 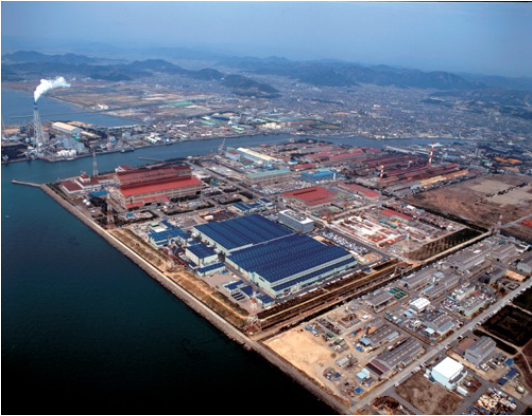 The Kobe Steel Group, a global enterprise built around Kobe Steel, Ltd., is engaged in a wide range of fields, with its major businesses concentrated on materials and machinery including various compressors. The materials businesses comprise iron and steel, welding, and aluminum and copper products, while machinery includes industrial and construction machinery, as well as engineering and environmental solutions. Other important businesses are wholesale power supply and real estate. KOBELCO Compressors are one of major product in KOBELCO business fields and made it by our world manufacturing network with highly commitment of technician. We will always continue to be “No. 1” with our “Only One” technology that responds to the needs of our customers. 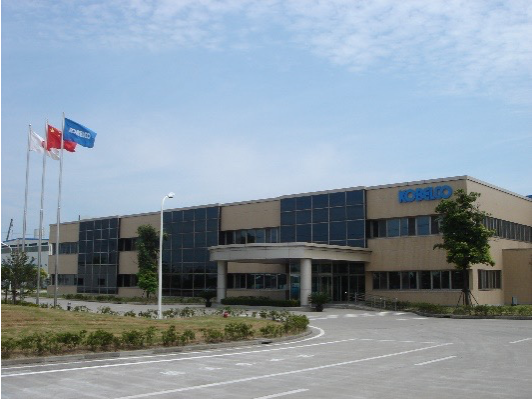 KOBELCO has continued to develop new products and technologies since it produced compressors for the first time in Japan in 1915. 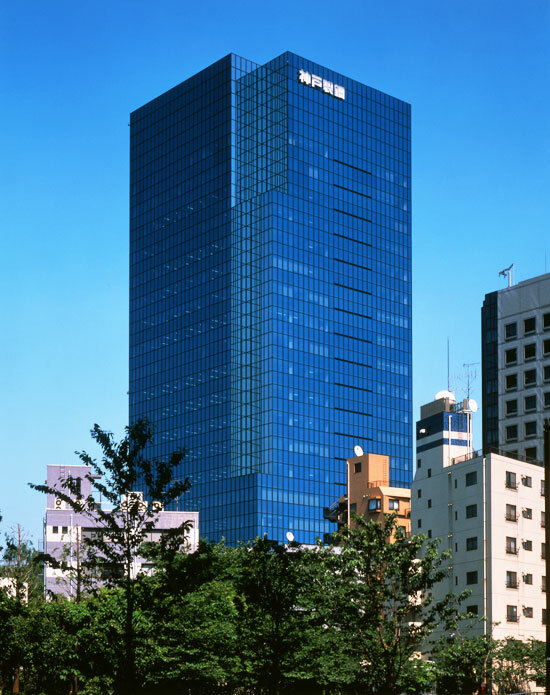 The “KOBELCO” brand and its products receive high evaluation both in Japan and overseas. We also produced the first screw-type air compressor, freezer, and vacuum pump in Japan. By reading customers' needs and addressing them, we have produced our original technologies and “Only One” products that cannot be found anywhere else. Such achievements and experiences have lead to the development of our latest model and we have thus been “No. 1” in respective times. We will continue to be the front-runner in the industry by reflecting customers' views in our technology and product development. Produced Japan’s first reciprocating compressor using our own technologies and entered the compressor business. Broke into screw compressor business with technological tie-up with SRM. Launched Japanese first oil-free screw compressor. 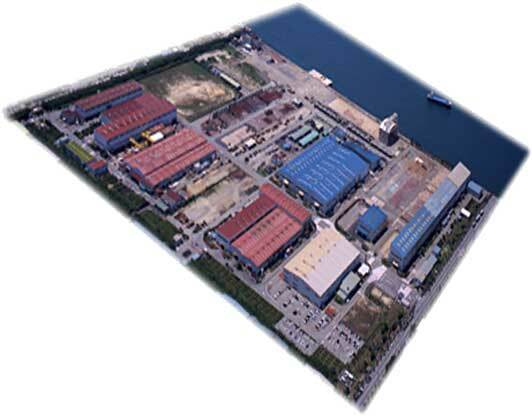 Established a screw compressor production plant in Takasago, Hyogo.. Started production of oil injection type screw compressor. Started selling general-purpose compressor "KST series" (single stage). Started selling standard air compressors (two-stage). Broke into centrifugal compressor business. Adopted an asymmetric screw rotor profile to improve performance. Started selling package type screw compressor "KST series". Completed a standard compressor production plant in Okubo. Started selling package type two stage oil-free screw compressors "B/BT series". Broke into the standard small-sized air compressor business (7.5 - 11kW). Marked the 20,000-unit mark in cumulative shipments of screw compressors. Started selling energy-saving, standard Super Economy Series compressors. Developed Kobelco proprietary Super Rotor profile to greatly improve performance. Started selling oil-free single-stage compressor "ALS series". Started selling single stage type vacuum pump "KV series" . Started selling Air Mate Series (1.5 - 3.7kW). Completed a standard compressor plant in Harima. Started selling ultracompact "new air mate series"(1.5 - 5.5kW). Launched Air Mate Series (7.5 - 11kW); all models come standard equipped with a dryer. Serialized compact / ultra compact type compressor as "air mate". Completed and launched HandSome Series (22 - 75kW) with an automatic drainage system. Developed Intelligent Total Control System (ITCS) with a self-diagnosis function. Launched Sukesan Series (1.5 - 3.7kW). Started selling two-and-half-stage closed screw refrigerator "SH-F (water cooling) series". Launched March Series (5.5 - 11kW). Remodeled medium-sized machine "Handsome series" (15.22kW). Launched medium-sized Emeraude Series "FE" (1.5 - 37kW). Launched large-sized Emeraude Series (45kW - ). Launched Kobelco Inverter Series with an IPM motor. Started selling large-sized single stage machine "HMJ series" (90 - 150kW). Started selling oil-free scroll machine "ES series" (1.5 - 15kW). Started selling compact / ultracompact machine "ASCM" (1.5 - 5.5kW). Started selling medium-sized inverter "Kobelion" (15 - 75kW). 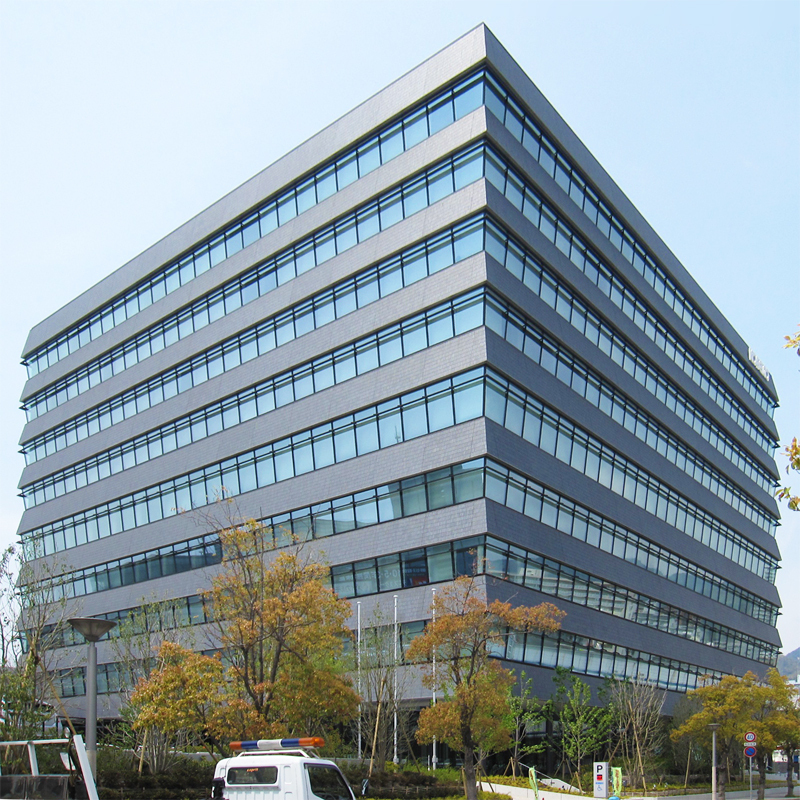 Kobelion received "The Japan Society of Mechanical Engineers Award (technique)" and "Japan Machinery Federation Chairperson Award " as an excellent energy-saving instrument. Started selling two oil-free compressor "FE series" (15 - 37kW). Started selling two stage oil-free compressor "(VF/VE) series inverter". Started selling "Kobelion VS multi" (110 - 150kW). "Kobelion series" won "New Machine Promotion Award". Started selling large-sized two stage machine "Kobelion LT/ST" (160 - 220kW). Started selling large-sized oil-free type "ALE" (305 - 370kW). Developed and Started selling medium size inverter "KobelionII" (15 - 75kW) to be manufactured in China. Started selling water injection type oil-free machine "Aqua series" (22 - 37kW). Developed and Started selling medium size oil-free type "FE" (15 - 55kW) to be manufactured in China.